PICTURE: Alan McCallum – Chairman of Cann Group Ltd, Lesley Gillespie – Chair of CACC Melbourne Committee, Matthew Cantelo – CEO of Australian Natural Therapeutics Group, Peter Crock – CEO of Cann Group Ltd, The Honourable Mrs. Jaala Pulford, Minister for Agriculture and the Minister for Regional Development, Elaine Darby – MD of AusCann, Erik Dennison – Melbourne Committee and Chris Kommatas, Innovation Manager & Accelerator Program Director, Melbourne Health and Founder & Organiser, Startup HealthTech Australia. 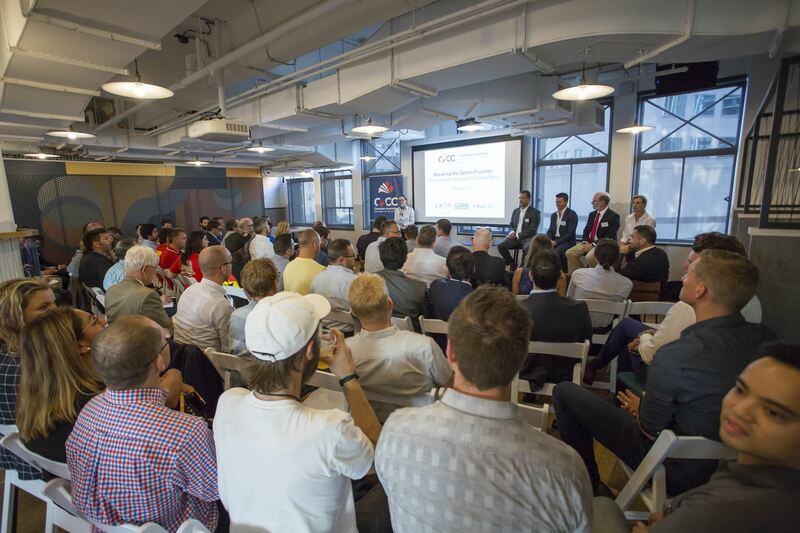 If the balance of the New Year is anything like the Canadian Australian Chamber of Commerce’s (CACC) Melbourne Committee’s first event of 2018, it’s going to be a fascinating year. On Tuesday 13 February 2018, Victorian investors, producers, regulators and the Minister for Agriculture came together in Melbourne to discuss the rapidly growing medicinal cannabis industry, an industry that is quickly following in footsteps first forged in Canada. 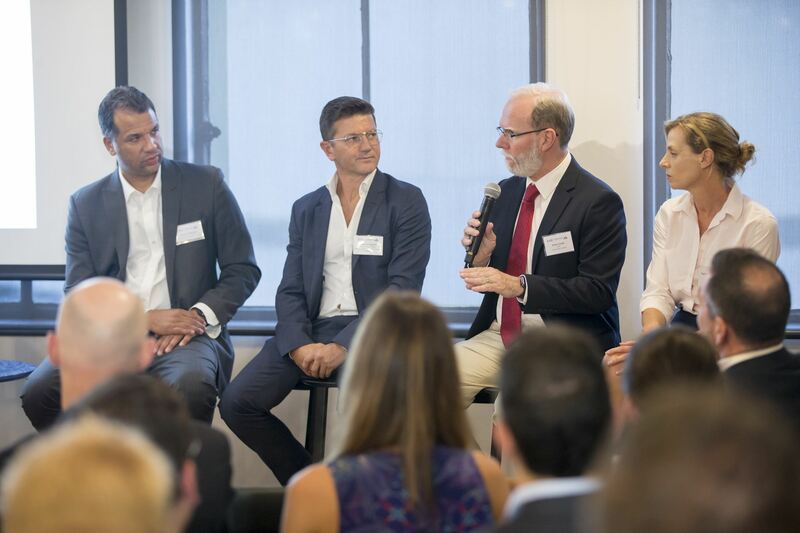 This event, hosted by the Melbourne Committee of the CACC featured a keynote speech by Minister for Agriculture Jaala Pulford followed by a panel discussion with: Elaine Darby, Managing Director, AusCann; Peter Crock, CEO, CannGroup, Matthew Cantelo, CEO, Australian Natural Therapeutics Group; and, Chris Kommatas, Director, Amplify Health. Following Minister Pulford’s speech, in which she stated, “What we are doing here in Victoria is ground-breaking,” the panel shared their own perspectives and engaged in Q & A with the audience. When it comes to the cannabis industry, Canada is regarded as a pioneer, having legalised the use of medicinal cannabis in 2001 and its very progressive move to legalise recreational cannabis is set to be available later this year. With this latest move, Canada is tagged to be the largest developed country to end a nationwide prohibition on recreational marijuana. The Canadian cannabis market is currently estimated to worth upward of $10 billion annually. In comparison, the newer Australian market is valued to be worth approximately $100 million per year. As in most industries, every challenge requires a solution, and the cannabis industry is no different. Case in point: it is estimated that Canada will only be able to meet 15% of its domestic demand. Thus, creating a significant export opportunity for Australian producers such as AusCann and Cann Group to fill gap. It is interesting times particularly as Australia’s Federal Government recently announced that it is to allow exports of cannabis-based medicines. As well, the Government of Victoria recently signed a Memorandum of Understanding with the Canadian company, Canopy Growth Corporation, to further develop research and technical capabilities in the production of medicinal cannabis. Consequently, Australia, which is believed to have some of the world’s highest standards for the production of medicinal cannabis, is strategically positioned to export to its trade partner, Canada. Moderating the event was CACC member and volunteer, Erik Denison, a multi-award winning journalist formerly with the Canadian Broadcasting Corporation (CBC). 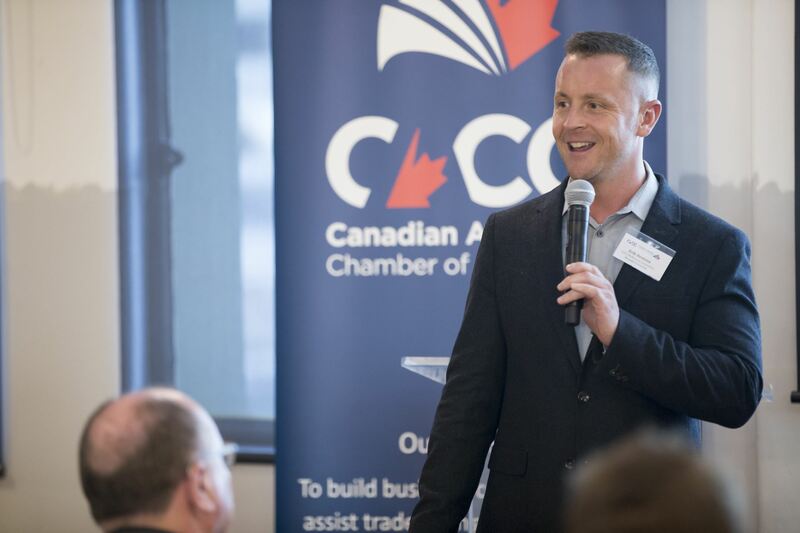 “The quality of tonight’s event is a testament to the CACC Melbourne Committee’s commitment to delivering timely events that are of great interest to the Canadian and Australian business communities,” said Mr. Denison. 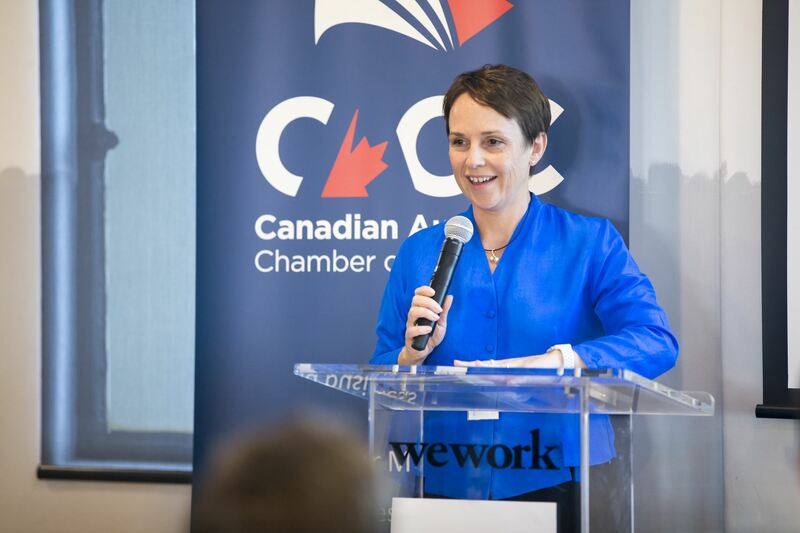 The Canadian Australian Chamber of Commerce (CACC) is a not-for-profit organisation whose focus is to build and strengthen trade and business connections between Australia and Canada. 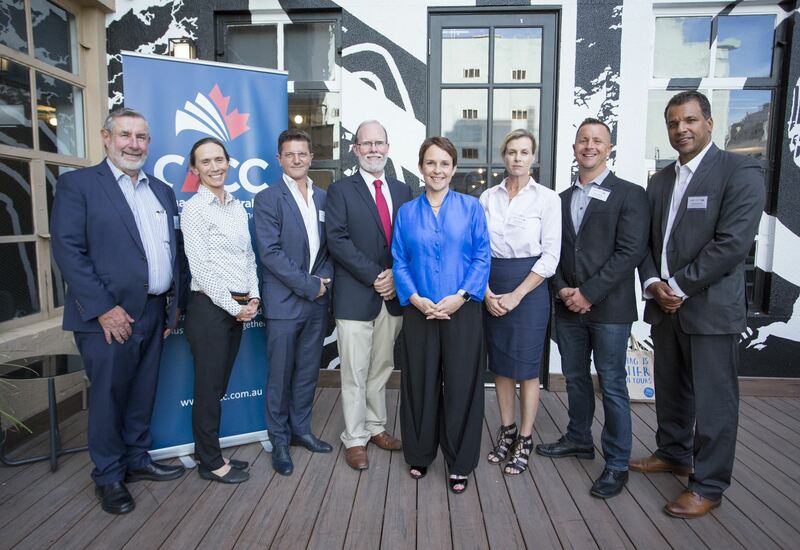 The CACC maintains relationships with senior and operational level resources of Government in both Canada and Australia as well as providing members with access to an extensive and growing network of individuals and organisations with an interest in the Canada-Australia business relationship.